Hi, everyone! I have a hard time keeping up with other blogs and booktube channels so let me make it easier for you and this blog / The Lushables channel. Below the cut you'll find a list of my blog posts and booktube videos if you're so inclined. Or, you can watch the video & click on any of the pictures to be taken to the post or video in question! Stone in the Sky by Cecil Castellucci, as a part of the blog tour. And, whoops!, not mentioned in the video: I talked about my 15 TBR Books That I'm Going to Read this year and the YA Debuts that I'm Anticipating Reading. The process of making thumbnails for my booktube videos. A post full of self-deprecation and silliness per my usual PoV when looking at pictures of myself and trying to edit things in Adobe Photoshop Elements 5.0. How to Respond When Someone Disdains YA Literature. I made a half serious, half silly (aka me!) infographic for how to respond to all the YA haters out there. There are also a few giveaways, which you see in the sidebar to your right. How in God's green earth am I in the 70s for bookish rounds videos? If I'd posted them EVERY Wednesday, that makes for about 17 months, but I've also skipped a few, so what, am I on more than that? Have I been doing this feature for 1.5 years? WHUT WHUT WHUT. Time management. HOW do you manage your time? When I did my January recap (video), I had so many more links. A discussion post every week and on my blog I was posting booktube videos and I was getting ready to comment on every single booktube channel and blog. WOAH, slow down there. About halfway through February, I went to this sort of career development advising session and they were talking about how you should know at least one programming language before moving onto your post-doc or applying to grad school and read 2 articles a week outside of those you read for class and save all your time when you're at work or school for research because time at home is meant for doing homework from your classes. Science is a lifestyle. And I started freaking out because all I could think was: HOW AM I EVER GOING TO DO EVERYTHING I WANT TO IN MY LIFE? Let's face it: blogging/reading is a hobby. It is the first thing that should go when I start to narrow down on my time. But I don't want to narrow down on it; I want to find better time management skills. Do you have any advice? 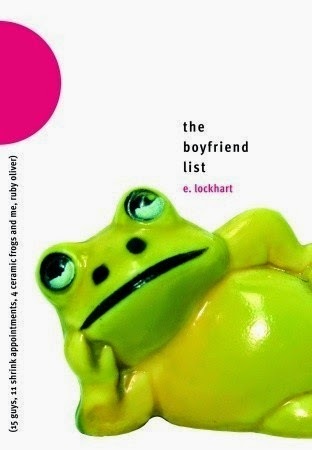 The Boyfriend List by E. Lockhart, which was on my 15 TBR Books to Read this year list. This was a read-along with Joséphine of Word Revel and I'm still undecided as to how I feel about the series and this book in particular. I am interested in reading Lockhart's other book, The Disreputable History of Frankie Landau-Banks. I've had a book hangover for the past couple of days because of Crown Duel. Once upon a time, I had a feature on my blog called "Christina Reads Your Recommendations." 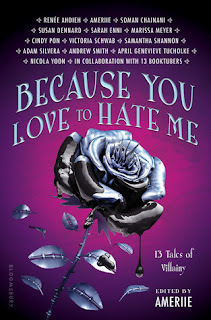 Small recommended this book and said: "It's like a fantasy Pride and Prejudice with an imperfect main character who grows throughout the book, a swoony slow burn hate-turned-love romance, and lots and lots of political intrigue. Since you liked Grave Mercy, Graceling, and P&P, I think you'll like this. It's one of my Special Shelf books." Small, I want to read all your Special Shelf books now. 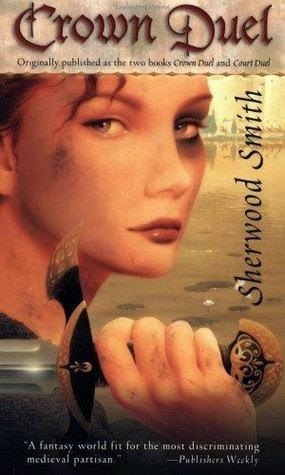 You recommended Megan Whalen Turner's Queen's Thief series to me, which I LOVED LOVED LOVED, and you recommended this to me and yaaaaaasssssss. Meliara/Vidranic forever! What little shipper heart I have is happy. This one is definitely more epic than the Kiss of Deception. Epic in the stakes, since I guess Kiss of Deception covered more ground between the countries. 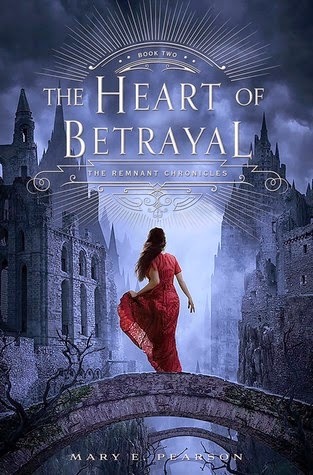 If you liked the deception, intrigue, and political games of The Kiss of Deception - and the implications of the second half of that book - then you'll definitely like The Heart of Betrayal. Would recommend this to fans of The Girl of Fire and Thorns, the Grisha trilogy (the Komizar reminds me a little of the Darkling and how he and Alina interacted), The Winner's Crime, and Finnikin of the Rock (Finnikin + Girl because of the quest-like elements, the religious backgrounds and stories influencing the world, and political intrigue). I'd say Megan Whalen Turner fans too, but I think MWT focused more on the individual characters (Gen, Attolia, Eddis, Sophos) than their countries whereas The Heart of Betrayal goes really in depth for the Vendan culture and general dynamics between Venda, Morrighan, and Dalbreck. That's what makes me think (about this book): good epic high fantasy. Also, if you were worried about the love triangle-ish elements of the first book, I'd say don't worry. Also, Lia is badass. Love her as a heroine and getting to see her adapt to her circumstances. Shadow Scale by Rachel Hartman, which was on my 2015 Books that I'm Anticipating list. I am hoping to finish before next week so that y'all will have my review by the release date, March 10th... but I am super intimidated by this 600+ page book. I'm only about 16% into the Kindle version and it feels like I'm not moving in the Kindle version (the percentage that is). Blah! But the writing and world and characters are lovely. Stories and Scenes from Mount Lebanon by Mahmoud Khalil Saab. I emailed my old Lebanese college professor and asked him if he knew more about Lebanese/Middle Eastern mythology than what you'd get in, say, 1001 Nights and the Qu'ran / Bible. One of the things he mentioned was a character who I'd never heard of before, so I googled. And found that character in this book, and this book looked to be right up my alley since I love reading about folklore. Add it to the pile of books I have on Lebanon! The Crowfield Curse by Pat Walsh. NOTE: I MISTAKENLY SAID "CROWNED" CURSE IN MY VIDEO. Whenever I'm in the Strand, I pick up ~5-10+ books that I've heard good things about or wanted to read in the past. I put them all in my basket and sit on their benches and read the first few chapters. If I mesh with the writing style and like the synopsis and what it promises well enough, I'll get the book. Sometimes I have debate between books because maybe like seven books have interested me - well, what is a "later" book? What am I more in the mood for right now? etc. All of the above books have a fantastical or magical realism element to them, which is my style. Since I was just talking about having a difficult time managing my time blogging/reading vs. doing other things in my life, it is unlikely I will reading and reviewing these books. However, I will probably hold a giveaway for them. It is my blogoversary in March (this month!) and I've been blogging for four years (whuuuuuuut !!!! ), so expect to see something soon enough on that end. So, what have you been up to this month? What did you read and/or purchase to be read? What are you currently reading? What did you post about? Let me know how the month has gone for you! ugh, time management! Well, first, you made me cry a little inside when you said you'd have to curb reading because it's just a hobby. *gasp* Hobbies are what make life fun! But, ok, time management. I'm big on lists, so I periodically make a list of all the things that I do. Highlight the things I need to keep doing in one color, highlight the things I want to keep doing in another color, highlight the things I can cut down on the time I spend doing, and then cross off the things I can stop doing. Then make a list of any things I'm not currently doing but want to start doing. Then play around with time allotted to each thing. I also try to find "waste" time that can be put to good use. Like, the time while I'm cooking but don't need to be hovering over the stove? Read an article, write a mini review, read a chapter, do something short. Waiting in line at the store? I'm totally whipping out my book and reading a few pages. Shopping? Audio books are great for this. Commuting? I drive, so, again, audiobooks are awesome (I "read" an additional 12 books last year all while just driving to work and running errands. This also makes sitting in traffic so much more palatable). Folding clothes, cleaning the house, etc? That's my time to catch up on tv shows. I even read e-books on my laptop when I blow dry my hair. Mostly I figure it's all about priorities. I'm always asking myself "Is this how I want to be spending my time?" I find that forcing myself to make that conscious choice helps me be more at peace doing what I want to do and helps me stop doing things that are just mindless time wasters. Wow it sounds like you had another busy month Christina, but I'm glad to see that you were able to keep on top of everything! I just about keep on top of commenting and sometimes I have to dedicate entire afternoons to it like today! I started Shadow Scale this week too, I was planning on finishing it in a few days, but the size of it has been really daunting, also it seems to pick up in places and the drop off later on, so my attention does seem to be wavering quite a bit :( Anyways I hope you have a fabulous time in Japan! :) yeah and with our mutual book buying process, I always end up getting too many though o.o. hahahah well reading is less a hobby than blogging is. I'd give up blogging way before I gave up reading. (Plus I'd be reading science articles, just not books). Hobbies do help liven life :). I also make lists -- though I'm much less organized about it than you. And more on a daily basis than activities; I should get in on this highlighting business. I COMPLETELY agree with making the most of your waste time. I used to read more by listening to audiobooks while I was waiting in line/shopping/walking to the train station o.o. It's been so cold out that I've been afraid to bust out the headphones though. Ahhh, I should've been listening to a book while folding my clothes... and tonight when I clean and pack. "Mostly I figure it's all about priorities. I'm always asking myself "Is this how I want to be spending my time?" I find that forcing myself to make that conscious choice helps me be more at peace doing what I want to do and helps me stop doing things that are just mindless time wasters." -- THIS. I need this. The only thing is I need to get better at cutting back on my mind wandering oh-look-I-wasted-another-two-hours-habits. Hahaha, gosh have I kept up with everything? I don't think so. I am going to have to do what you said and dedicate this evening to commenting & visiting blogs. I'm so behind on that o.O. And oof -- I hope Shadow Scale gets better for the both of us. The size, pacing, attention wandering :(. And thanks! Heart of Betrayal!!!! Can't wait for that book. The Girl at Midnight. Loved it so much. Echo is basically a female Jace. I wish I could help you, but I don't even know how I manage my time. I guess what really helps me lately is that I pick two evenings every week, and I will use those for blogging. All my other evenings are divided between my hobbies/family/boyfriend. The weekend is also mainly for free time, but on Sunday I try to catch up with most blog posts. So far, this has been working great for me :) Maybe you should make some sort of real life schedule for yourself and see where you spend your time on and what you have left to divide?